The United States Pacific Fleet is headquartered at Pearl Harbor Naval Base, Hawaii. In 1990, the USS Reuben James (FFG 57) and USS Princeton (CG59) visited Vladivostok, USSR. 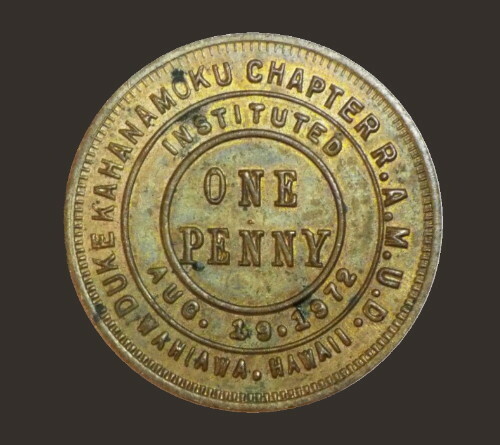 Treasure Chest Coin Company are selling several coins related to Hawaii. These coins have the same obverse design with a different reverse design. 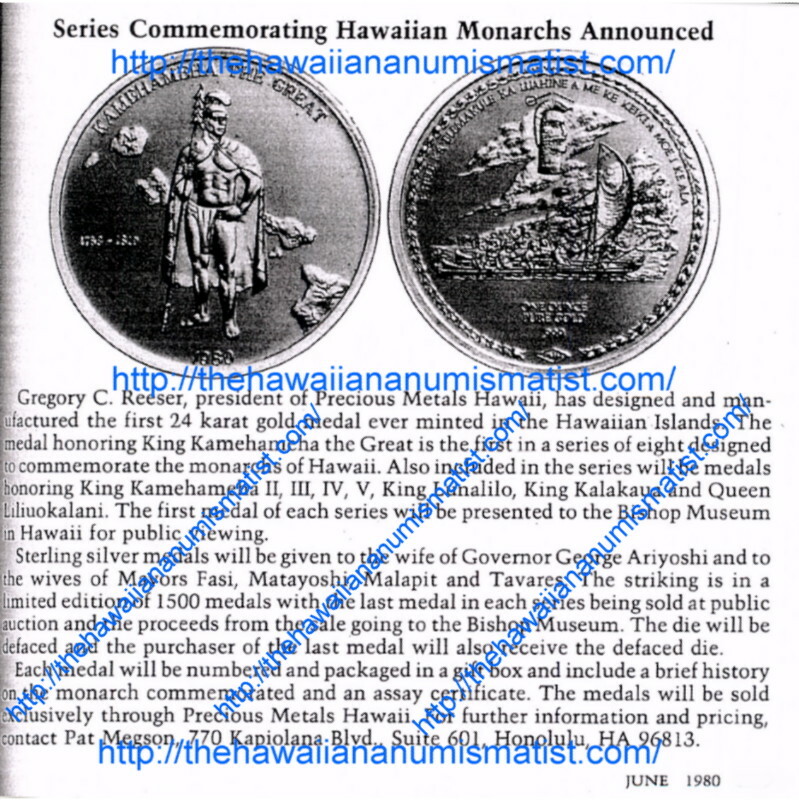 (Hawaii version is +$75 more than the Alaskan version). 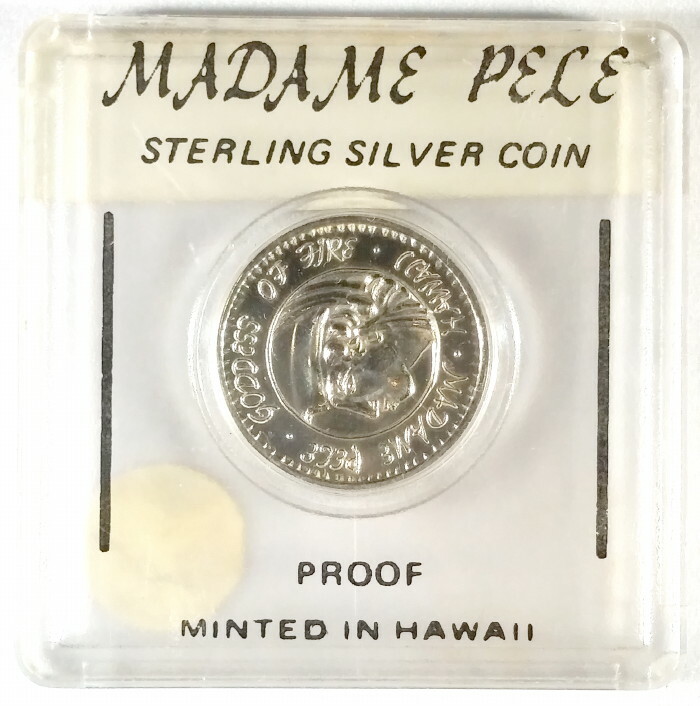 A few of the Hawaiian version coins have been appearing on eBay. As indicated in Medcalf & Russell, page 146, there were only 25 struck with the August 19, 1972 date. Based on Waifs in Gold Boots (search keyword “eden”), this is a possibly a 1977 version with mintage of 15. All other sterling versions identified in Waifs in Gold Boots have a particular type of marking that is not present on this specimen. 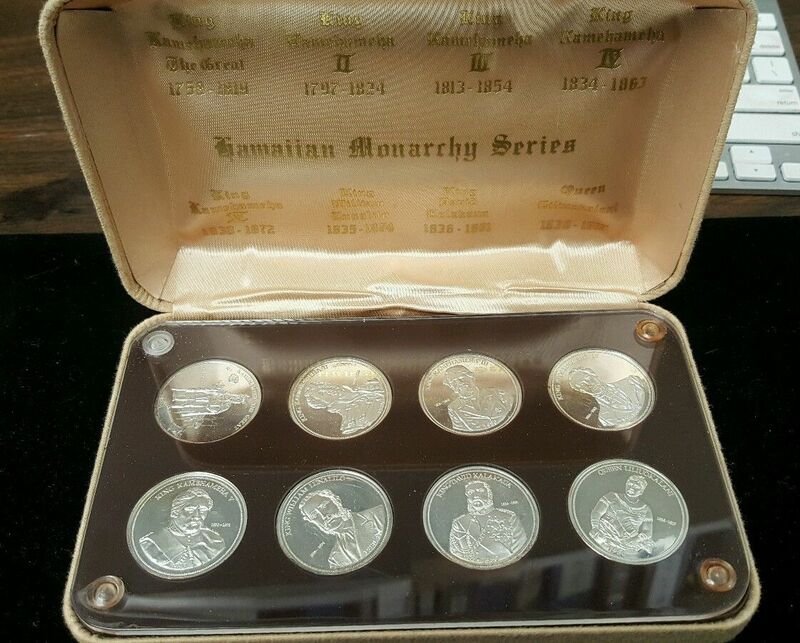 A complete set of Precious Metal Hawaii issues was recently on eBay. It sat there for a few days and was sold recently. Unlisted in Medcalf & Russell and yet designed and struck in 1980. 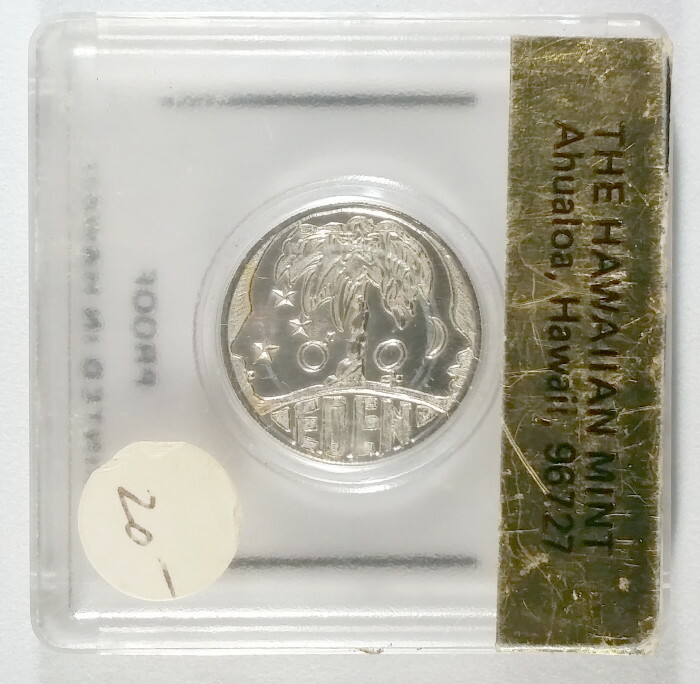 Most were melted during the silver boom period of the early 1980s.